India is one of the most coveted tourist destination in the world today. Each year numerous couples travel to various Indian cities for their honeymoon. But finding the right spot for your honeymoon in the giant Indian subcontinent is not a child’s play. The following list presents handpicked destinations in India, which guarantee a memorable honeymoon experience. A quaint little town in India’s West Bengal state, in the Himalayan foothills, Darjeeling is the perfect place for young honeymooners. Escape the hot and harsh climate of your city by heading to this former British summer retreat for your summer honeymoon. 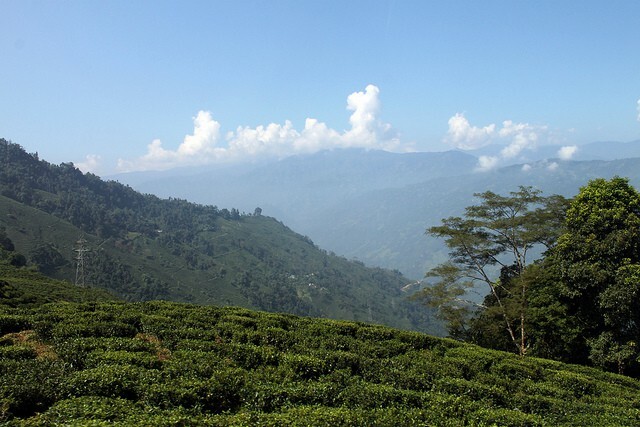 Darjeeling is particularly scenic as Mt. Kanchenjunga forms its backdrop. Also, the black tea plantations and the soft flowing rivers make it worth your while. ‘Tiger Hill’ is the perfect spot for watching the sunrise from behind the snow-capped peaks. After all, what could be more romantic than watching the sunrise with your spouse sipping a hot cup of Darjeeling tea. Darjeeling, famously known as ‘Queen of Hills‘, is a place where you can be in harmony with nature and with your partner. If you guys aren’t mountain people and prefer the sea rather, head to Andaman Islands located in the Bay of Bengal. ‘Little Andaman island’ is the prime surfing destination in India. 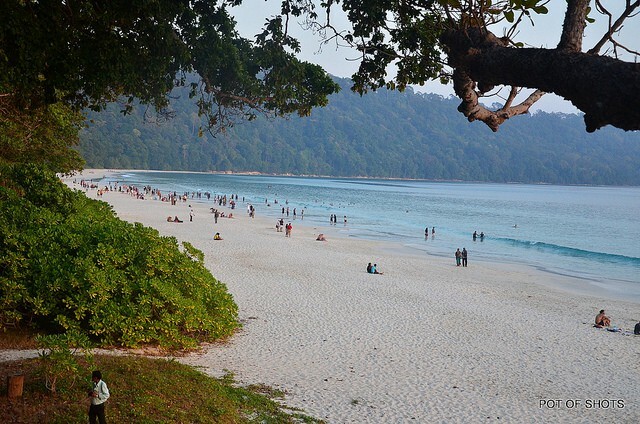 Head to ‘Havelock’ island which owes its beauty to the majestic white sand beaches. Head to Little Andaman island and either spend a lazy day at the beach or if you feel adventurous try surfing. With beaches named after the mythical characters from Ramayana, ‘Neil island’ offers a variety of activities like snorkelling, scuba diving, fishing, trekking and more. Have a romantic dinner on the beach whilst gazing the stars. 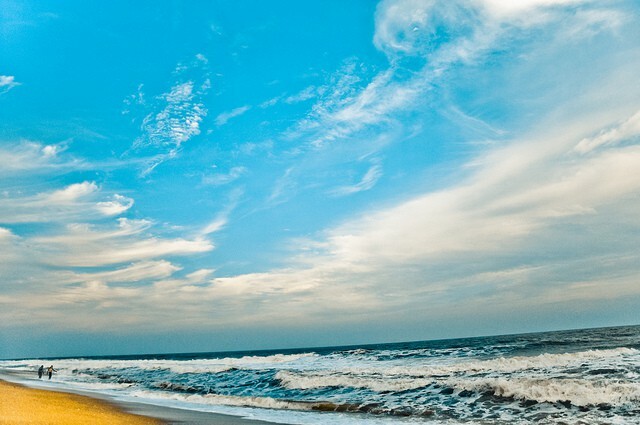 Puducherry, a union territory of India comprises of four former exclaves of French India. This city offers a spectrum of activities and aslo has 4 major beaches. French people are considered to the most romantic people, and French the most romantic language, so this little town is an ideal choice for a cute summer honeymoon. Roam the streets and marvel at the exquisite European architecture, French avenues, churches, statues and systematic town planning. The eateries, bakeries and restaurants offer an enchanting colonial ambiance along with authentic French cuisine and a mind-blowing blend of Indian and French cuisine. 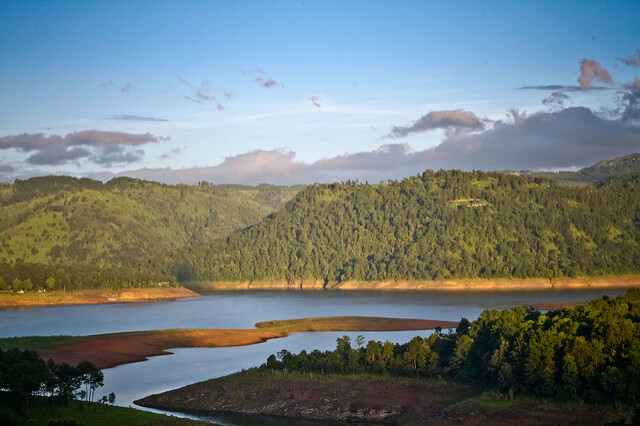 Shillong, often referred to as “Scotland of the East”, is the capital city of Meghalaya. ‘Mawsynram’ and ‘Cherrapunjee’ receive the heaviest rainfall in the world. Rains have been romanticised since eternity, be it Bollywood songs or intricate poetry. This place will add rains to your honeymoon itinerary and make it sheer romantic. ‘Umiam Lake’ is an ideal spot for various water sports like kayaking, water cycling, scooting and boating. Click perfect selfies near the various waterfalls this place has to offer. Head to ‘Cherrapunjee’ and see the double decker living root bridge which has been named as a UNESCO Heritage site and is unique to Meghalaya. Kerala is the right blend of nature, heritage, culture, religion and luxury. Thiruvananthapuram, capital of Kerala, is named after the thousand-headed snake of Lord Shiva, and roughly translates as the ‘City of the Sacred Snakes’. The city is dotted with temples, art galleries, museums and heritage sites. The most alluring feature of Kerala are the numerous backwaters. Rent a luxury houseboat and cruise along the scenic backwaters of Kerala. Pose for the super famous titanic pose, even though its cliché, it’s really cool. And you’re on your honeymoon- so why the hell not? Watch the exceptional indigenous dance form of Kerela- Theyyam. For some fun go for elephant bathing. Jammu and Kashmir is the jewelled crown of India. 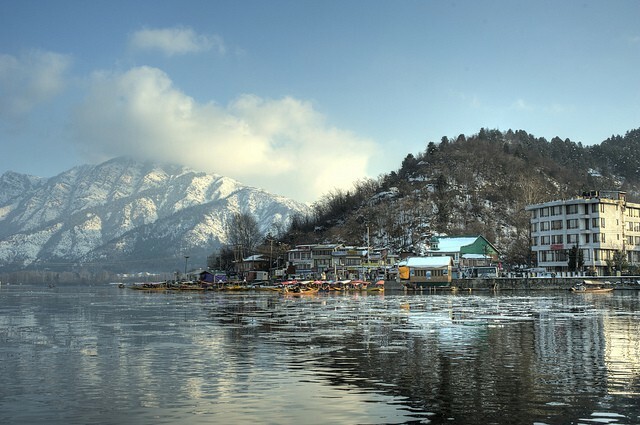 Kashmir is also known as the ‘Heaven on Earth’. And a place closest to heaven is undoubtedly the best to go for your honeymoon. The state is full of pine-covered mountains, snow peaked cliffs, mesmerising valleys, and other elements of natural beauty. 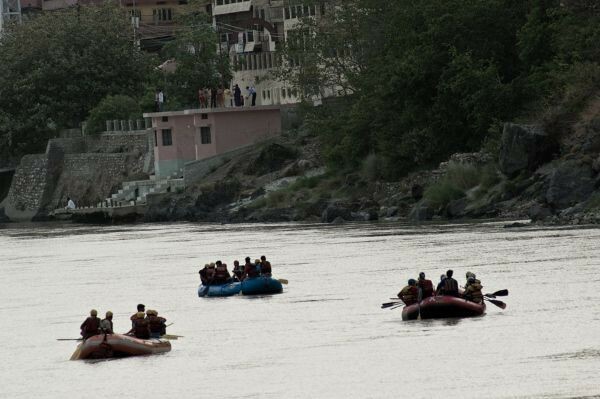 The heaven-like beauty of J&K will charm you and your better half. Go for a Camel ride at ‘Hunder’ sand dunes in ‘Nubra Valley’ (don’t be shocked-it’s a cold desert). Take a Gondola ride at Gulmarg and enjoy the view of sunset at Dal Lake. Soaking in the panoramic view of J&K from inside a hot air balloon. Try adventure sports like paragliding, trekking, skiing, mountain biking, snowboarding and more! The city of lakes or ‘Venice of the East‘ is known for two things – its lakes (pretty obvious) and its Rajput-era palaces. This place is infested with Rajput castles and forts. Most of these castles and forts have been converted to heritage hotels. Everything in this city has an interesting past and is a valuable piece of the Rajput history. Stay at a heritage hotel. 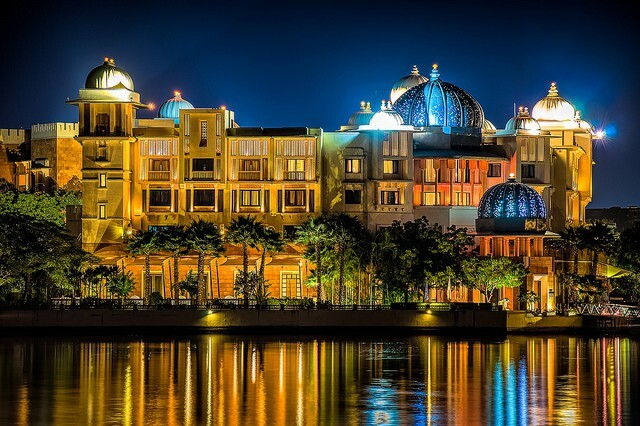 This destination will surely make you feel like a royal couple for the duration of your stay. The city also offers various museums, lakes and temples. Take a short helicopter joyride. Watch the light and sound show at ‘Kumbhalgarh Fort’. Moreover, the city has ‘shilp grams’ (traditional markets) where you can buy handicraft, textiles and more. To follow-up your picture-perfect wedding with a fairy tale honeymoon, pack your bags and head to any of the above-mentioned destinations. Au revoir! And happy honeymooning!